A graduate of UC Berkeley’s Haas School of Business, Aaron Noveshen is an award-winning chef, a restaurant entrepreneur and a leading authority in food product development. Aaron is the founder of The Culinary Edge, America’s leading food, brand and operations consultancy providing restaurants and food manufacturers with strategic culinary, creative and operational solutions. The Culinary Edge clients include a who’s who of the top food and restaurant companies in America such as Starbucks, Jack in the Box, AMC Theatres, Marriott, First Watch, McAlister’s Deli and Eat Smart Produce. Detailed case studies showing the direct impact of The Culinary Edge’s work can be found online atwww.theculinaryedge.com. Aaron Noveshen is also the co-founder of Pacific Catch restaurants and served as its president for 10 years. He currently serves on Pacific Catch’s board of directors. 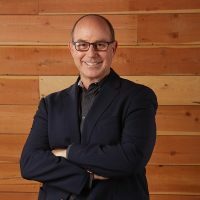 Aaron serves as a Director of the California Restaurant Association and Golden Gate Restaurant Association, and is the Chairman Emeritus of the CRA Educational Foundation.